Its been a long time coming, but we finally have the next instalment of the exchange, however with a collection of excellent exclusives in the mix, it is certainly worth the wait. These two close friends are prepared to make an impact in 2017, both as collaborators and solo artists. 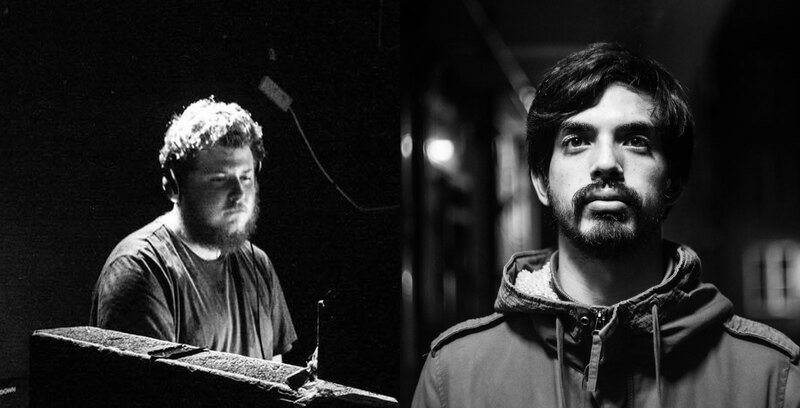 Alex Godoy (Itoa) and Jordan Parsons (Crypticz) couldn’t help but cross paths as both their musical influences encapsulate the continuous blur between Dubstep, Drum n Bass and footwork with Dub being the keystone to their musical arch. 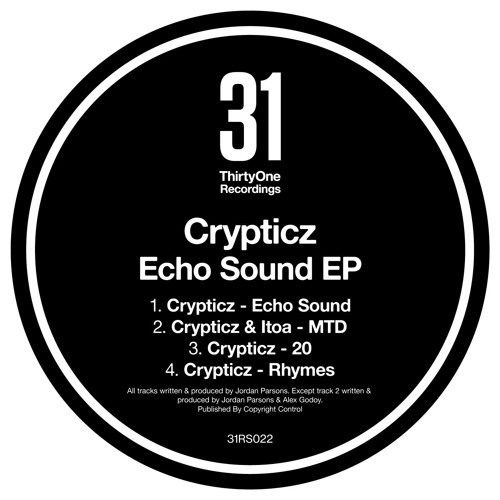 Crypticz has already hit some inspired highs having bagged himself a release on Doc Scott’s `31 Recordings with further exciting announcements to follow in 2017. 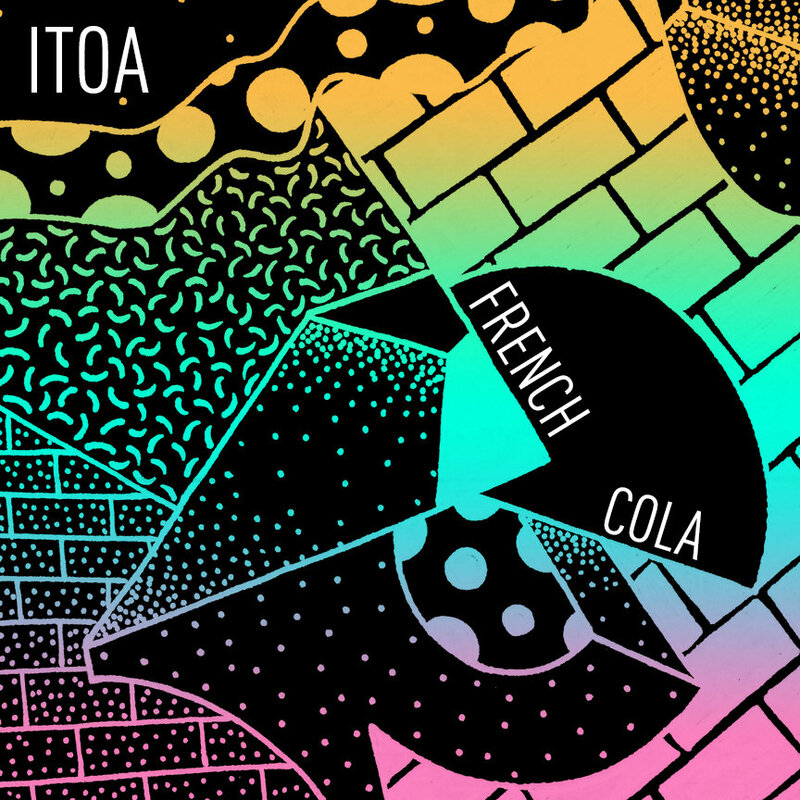 While good friend and collaborating buddy Itoa has had success with two fine releases on Bad Taste Records, which featured some tasty remix work by past contributors to the mix exchange, Touchy Subject (Astrophoica) and Moresounds (Cosmic Bridge). In this session they discuss working as a pair, live sets and the worries of how much ghettotech is too much ghettotech? Itoa: How did you get started writing electronic music? That's one basic question, but personally I'm always interested! Crypticz: I began writing electronic music at 16. I was into music and played instruments and I got my first taste of electronic music production at school/sixth form via Logic Pro 9 which we had access to. I loved it and found ways to make music on my own laptop at home, I tried out a lot of programs and struggled until I came across Cubase. Cubase really worked for me so I set about learning that program and I still use and love it today. Itoa: I've loved hearing the expansion of your sound and development as Crypticz. Where do you see things moving from here? Is it a conscious choice for you? Crypticz: Cheers mate! It's all been quite natural for me, the development of my sound. The way I've arrived at it has been very gradual and instinctive, its only more recently I've really started to think about how everything come together to make it what it is. I'm very happy where I am currently. As for the future... I'm not sure if I'm entirely honest. I'd say a lot of what I'm writing in the studio right now could still very much be considered UK sound system music but it's quite delicate, meditative, spacious. Dub music is a constant source of inspiration and I like to apply the foundations, mentality and feel of that music to my own, even if it isn't always obvious. I don't know... It's very easy to start over analysing all this stuff! Best to just keep moving forward. Itoa: If you could go back in time to give yourself 1 piece of advice re: writing music and all that music stuff in general, what would it be? Crypticz: I was thinking about this the other day funnily enough. There are all sorts of little bits of knowledge I wasn't clued up on and if I'd have known it certainly would have helped accelerate the learning process but honestly I don't think I'd go back and say anything. The journey is always the best bit right? So far it's been a crazy, enjoyable and fulfilling one that music has offered me so I wouldn't want anything done differently. Itoa: You recently made the decision to concentrate on developing a live set rather than DJing. How have you found doing the live thing and what was your reason for making this change? Crypticz: I still love DJing and love hearing a good DJ set out but, performing myself, I often felt the pressures of the crowd and would often find myself drawing for material that I felt wasn't a true representation of the sound I strive for as an artist. Over 2016 the live set idea kept presenting itself to me. The first time it crossed my mind was when I was chatting briefly to Om Unit about stuff, I can't remember what exactly but I said something about DJing/selection/something and he said you could just play all your own tunes... I remember thinking like 'hmmmm actually yeah'. Then I played a set in Bristol for NOISE (Shouts to Milena AKA Medika!) where the rule was to play all unreleased dubs of your own so after that I knew I had enough material there, which was an original doubt. In Sept 2016 I went to Abstractions to see Casual Violence do a live set, he was incredible that night and from then I was like 'OK, I'm going to do this'. I played a night with Moresounds in Lille in November (shout out RWD Sessions crew) and seeing Moresounds do his thing just solidified the idea for me more. From there I got some new equipment, dug out some old equipment, asked friends with live experience for some advice (yourself included, big up!) and went about working out how I'd execute it. Now here I am and I've got to play at some fantastic shows also! It's been great to be honest, I love it, I think it works well for my sound and I've had great feedback so far. It's definitely a challenge, I get way more nervous before a gig now, which isn't a bad thing. I've def been taking it easier at the nights I play now, only a few drinks before I play etc etc. Also not a bad thing! Itoa: How are you so productive and always writing so much music ffs? Crypticz: Being a student until last year and then struggling to find work has been a big plus for studio time to be honest hahaha. Aside from that... music is literally all I do. I do actually spend A LOT of time working on small amounts of material, I'm not very quick... As you know from working together! I've known you have tracks done in like a week which for me is very rare. Itoa: Any particular artists to watch for you right now? How about that you want to collaborate with? Crypticz: Artists I've been enjoying and excited by lately that I'm keeping an eye on include Margari's Kid, Dalhas Umai, Soukah, Pugilist and Intech. Yourself (Itoa) and Lakeway are two good friends of mine that I think everyone should be keeping tabs on. You both have truly unique sounds and are constantly writing music that inspires and excites me. I've been lucky lately and have got to collaborate with a lot of artists. A few artists I would like to work with and see what happens off the top of my head... Rider Shafique, Ishan Sound, Frederic Robinson, Equiknoxx. Yourself, Equiknoxx and I could be a really cool trio I think. FKA Twigs could be very interesting for me... Again, Margari's Kid. Crypticz: The Itoa sound is unique, to say the least. I know you have a vast background in music and your personal life also. What parts of your musical and personal past do you think have shaped your sound? Itoa: That's a tricky question in that unstitching moments on the way to defining a route to something that doesn't feel fixed is difficult. Moments that were significant in getting me to be writing music are clearer: Playing the drums in bands, as well as starting to dabble in writing music away from just the drums with some of my bandmates. Beginning to dabble in electronic music production off the back of having fun recording my voice and pitching it weirdly. Going to raves and clubs. To be honest I guess this sounds wildly pretentious but it's always about a synthesis of things right? I learned the drums as a teenager and I remember being very against the idea of quantized sequencers, or chopping up breaks when you could have a real drummer actually grooving. And then I got into exactly both of those things hahah! Somewhere in the middle of those 2 opposing sides is the funk of machine-like repetition I guess. Crypticz: We've worked together a few times and have some new music round the corner. When it comes to collaborating with other artists what have you found creates interesting and exciting results and/or a successful working relationship? Itoa: I actually generally as a rule find collaborating with other people kind of tricky, which is why you're on a relatively short list of people I have successfully done so with. I think the difficulty for me is somewhere between the tendency towards being a control freak that comes with doing something that demands you spend many hours in isolation being self involved writing music, and also a constant feeling that I'll be exposed as a total hack music idiot. So for me the first thing is just feeling comfortable writing with another person, which I think is a matter of dynamics between the people involved. That is also how you end up feeling comfortable to be honest with the ideas you put forwards, and to deal with the ideas whomever you're collaborating with puts forwards. Also you end up less likely to write towards what you think the other person wants or expects, which isn't necessarily a bad thing but can be unnecessarily limiting I think. Secondly I think it's about hearing something that is contrasting but hopefully compatible in the person you're writing with, and therefore (once you're comfortable) having something interesting to explore. And lastly being able to have fun with the whole thing, which I guess is part of the first thing also. Crypticz: What can you tell us about what you're working on at the moment? Itoa: I am working on my next EP which I can't say too much about, basically. I'm trying to concentrate on just that for now, and I'm trying to just keep things exciting for myself as listener and producer. Other than that I'm in the process of repeatedly apologising to people i've been promising tunes to for a while now. Sorry! I have to finish this next EP first!!! Crypticz: I've come to see Itoa perform. What can I expect? Itoa: I like playing music that I like to listen to and that I'd want to dance to, and I hate the idea of banging out just 1 thing for a whole set. It's not how I listen to music and so it's not generally how I play music. Other than that I try not be too prescriptive but it'll always fall within the 160-175bpm range, some breaks, 808s and all the good stuff. Most recently trying to figure out how much ghettotech is an acceptable amount. Crypticz: We've shared some great food together from time to time! From 4am Bagels in London to rushed premegabus Rice & Things in Bristol. What food spots are high on your favourites list around your way at the moment? Itoa: That jerk (& fried!) chicken was absolutely delicious! I am actually a bit of a food idiot and could probably survive on roll ups and energy drinks. That said, the food spots that are at the front of my mind right now are all Japanese places recently. Asakusa in Camden Town has what you want for hot food, and if you love sushi and have too much money go the Japan Centre in Golders Green and get some real sushi.